Ashley Raines is a great singer and songwriter from Colorado. I originally saw him at the Cafe Acoustic in St. Joseph, Missouri and it has led to me tracking his career closely. This is (right now, as I post this) an upcoming show in nearby Forest City, Missouri at a cool little bar named The Dawg House. 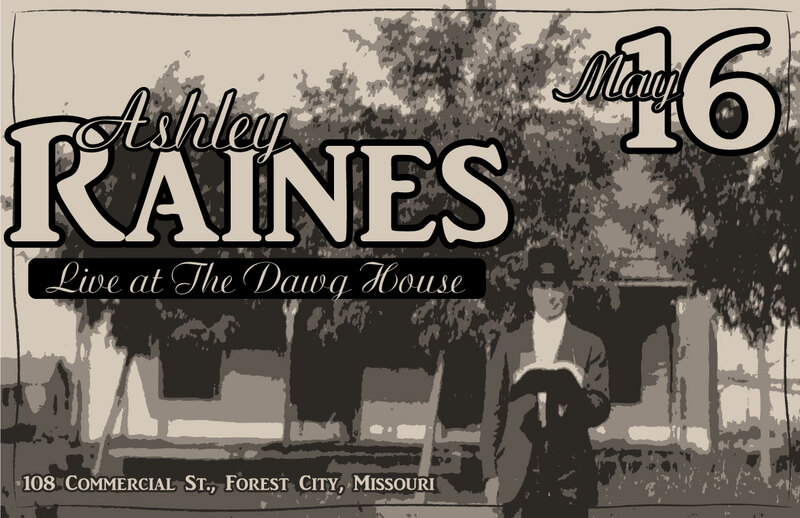 The inspiration for this poster came from Raines’ newest digital single “Old Time Religion” (hence the gentleman holding the bible in front of an old frontier home.) I wanted a bit of a mysterious and sinister vibe with this poster which led to the color selections as well. Look for an upcoming preview and review of this show on Vocals On Top. This entry was posted in VOT Posters and tagged Ashley Raines, concert posters, Forest City, Missouri, original artwork, The Dawg House, underrated songwriters, VOT Posters. Bookmark the permalink.